Oliver Slade. Student & Travel Writer. 1. The Greek islands – go for the beautiful blue seas, the famous salads and sumptuous beaches: return with some knowledge of this ancient civilisation that has stirred generations of travellers. Delos, for example, is the island where the mythological twin gods, Apollo and Artemis, were born, and was thus the most sacred place of worship in Ancient Greece. No one was allowed to die or be born there and all graves were dug up and bodies moved to neighbouring islands, so that no one could possess a right of inheritance. Delos was a major commercial port and trading centre in the First and Second Centuries, even though it had no productive capacity for fibre, timber or food, and Roman traders came to purchase thousands of slaves from Cilician pirates. Delos is easily reached from the nearby cosmopolitan island of Mykonos, as is Patmos, where John, wrote the Bible’s book of Revelation, from visions he received whilst living alone in a cave. Delos today is an island where you can experience real freedom. 2. All set to go tubing to the Tham Poukham cave in Vang Vieng? 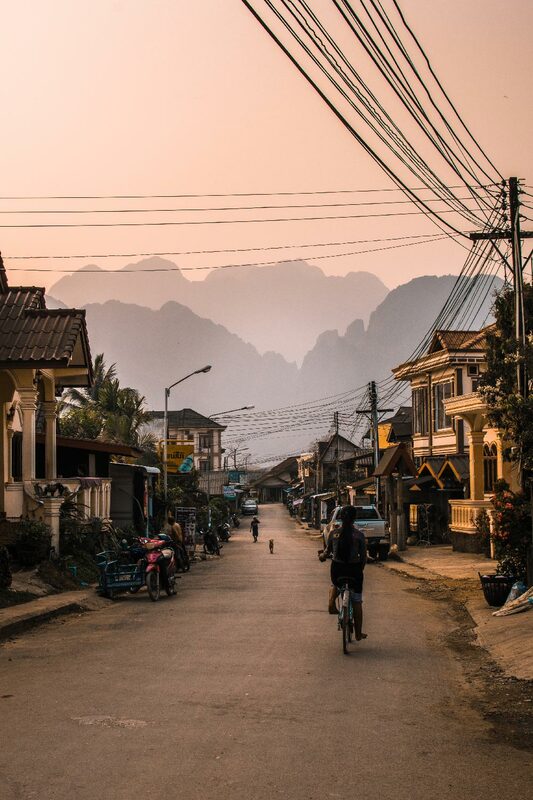 Before you take the slow boat to Luang Prabang or pick up your rubber ring in Laos, to drift lazily down the Nam Song river, there are two brief history lessons for you, in Vietnam and Cambodia. Although over 60% of Vietnam’s population was born after the end of the Vietnam war (1955 – 1975), the sacrifices made are far from forgotten. In the Ho Chi Minh City and War Remnants museums, you will discover the scale and tragedy of a conflict that took place within living memory. The infamous My Lai massacre and the Tet offensive caused university campus demonstrations across America, and turned public opinion against the US Government’s war efforts. The cost of fighting the Vietnam war became unbearable. The Tuol Sleng Genocide Museum in Phnom Penh, the capital of Cambodia, is where you will find the Cambodian genocide chronicled. Between 1975 and 1979 it is estimated that over 1.3 million Cambodians were killed and buried by the Khmer Rouge regime under Pol Pot. Further deaths resulting from Khmer Rouge policies, that included starvation, took the death toll to 2.5 million, from a total population of 8 million. The Khmer Rouge were defeated and the genocide ended by the Vietnamese invasion of Cambodia in 1979. A Cambodian journalist coined the term “killing fields”, which became the title of a multi Oscar and award winning film. An encounter with this terrible history leaves you asking, why and how are these things allowed to happen? 3. Flanders and The Netherlands – as important to the arts as it gets. It’s quite a short road trip from Ghent to Bruges and on to Amsterdam, and it’s probably just the road you’re using to get somewhere else in Europe. Stop three times however, and you will see art that has influenced multitudes. The Mystic Lamb by the Van Eyck Brothers is one of the most influential paintings ever made. It is one of 18 panels that make up The Ghent Altarpiece, located in St Bravos Cathedral. The Ghent Altarpiece is cloaked in intrigue and is at the centre of one of the most fascinating art robberies of the 20th century. Your next stop is to see the marble sculpture, Madonna of Bruges, by Michelangelo, housed in the Church of Our Lady in Bruges, since 1514. The work is the only sculpture by the maestro to leave Italy and was shipped to Paris in 1794 by order of French revolutionaries. It was returned to its rightful place in 1815 after Napoleons defeat at Waterloo. Stop three on your art appreciation tour is the Van Gough museum in Amsterdam, where you will see the largest collection of the Master’s work; including Sunflowers (1889), The Yellow House (1888), and his many self-portraits. Van Gough lived in poverty and despair, his depression causing his eventual suicide, and in turn, feeding the myth, of the interdependence of madness and creative genius. 4. Los Angeles – A mega movie museum and stills that will move you. 5. Mystical India – a psychedelic getaway for the Beatles or an inspired message for us all? They planned to escape the “pressures and temptations of swinging London” and surely didn’t imagine that their 12-week stay would become the band’s most prolific song writing period. They wrote over 40 songs. George Harrison was the only one not to return to material concerns and remained in Madras for a collaboration with Ravi Shankar. Perhaps it was no accident that eastern spirituality was conveyed through western popular music and that each Beatle subsequently arrived back in England alone and in pursuit of different goals. Could the messages of love and understanding be why their music endures? 6. Patagonia – In search of monsters. You may be heading to Patagonia because, like Bruce Chatwin you’re drawn to its people. You may be going to see the spectacular glacial landscape which, like the Galapagos, has hardly changed from the first maps, bearing unicorns and elephant carrying condors, or you may be seeking the largest animals ever to have inhabited the Earth. This sparsely populated region shared by Chile and Argentina, as a result of natural uplift and erosion, making fossilised bones easier to spot and excavate, is still giving up its archaeological secrets. In 2014 a new dinosaur was discovered, believed to be the largest creature ever to have walked the earth and weighing more than a herd of Elephants. In 2018 they unearthed evidence of a new Patagonian predator. This young (only 65 million years old) Megaraptoridae may hold the key to why the Dinosaurs became extinct. In addition to capturing the imaginations of scientists from the fields of astrophysics, astronomy, geology, palaeontology, ecology and geochemistry, the region has also lured mariners, since the first to round Cape Horn, talked of the aquatic monsters that dwell there. Right whales and elephant seals return to the Valdez Peninsular each year to procreate in a tradition that has remained unbroken for thousands of years. There’s a good reason why the biggest acts in modern music keep coming back to New Orleans. Right back to the time of French and Spanish colonial rule, musicians have gathered in what is now known as Congo Square to play instruments and dance. From the Old French Quarter to Carrollton Avenue and from the Mid-City neighbourhood to Bourbon Street, the learning continues, all you have to do is close your eyes and listen. It might be a drum, it might be a trumpet or it might be an accordion that ignites your imagination and sets your hips swaying. New Orleans will always have an unrivalled music history but what makes it special is the present. Any artist will tell you that “The scene continues to ring true”. It doesn’t matter whether you’re in to R&B, Hip Hop, Pop or Rock: All modern music styles owe something to the influence of The Big Easy. You will find that it’s not a case of hunting for the music, it’s a case of the music coming to find you. Simply head out into the sultry, swampy evening and see where the music takes you. In a country surrounded by the Pacific and Indian oceans, with their endless beaches, and your most difficult planning decision being what to leave out — Australia really has it all. With many places in China capturing your imagination and re-invigorate your soul. We take a look at some of the Hidden Gems found throughout this enchanting country.